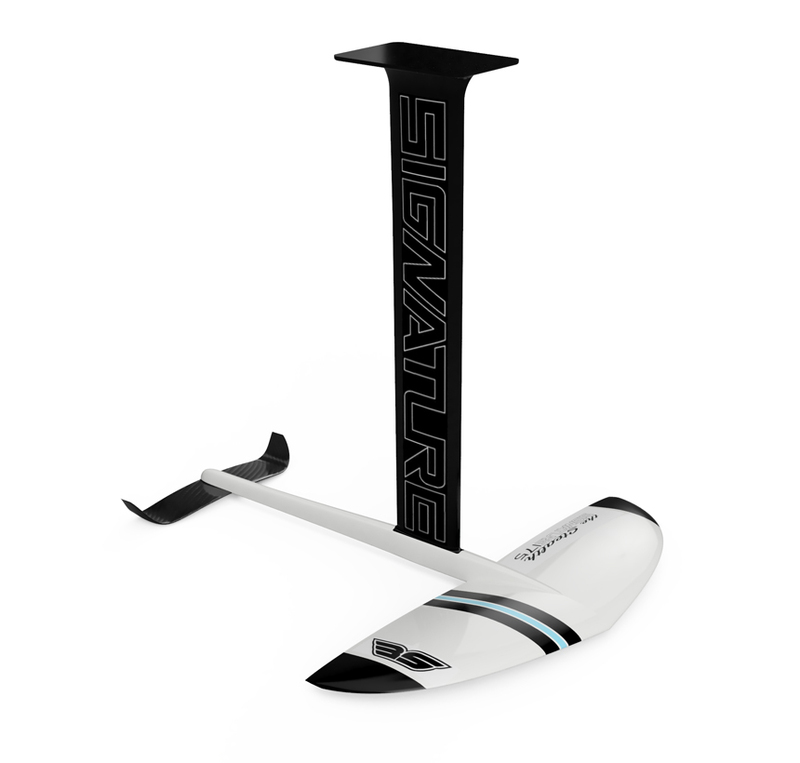 If you are a rider under 90kg wanting to push the envelope of Foil surfing – whether its on a SUP or on a surf foil board, the Stealth is 100% responsive. 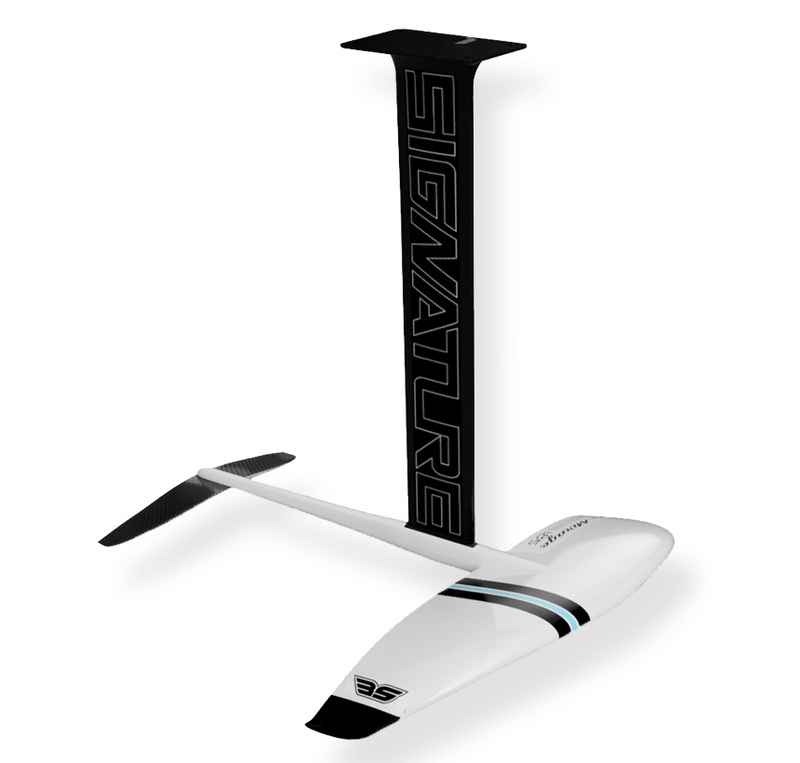 Can be used as a low wind kite foil and great behind a boat for wake foiling. Designed for efficiency, the foil is super fast and allows quick, radical “rail- to- rail” turning especially at high speeds. 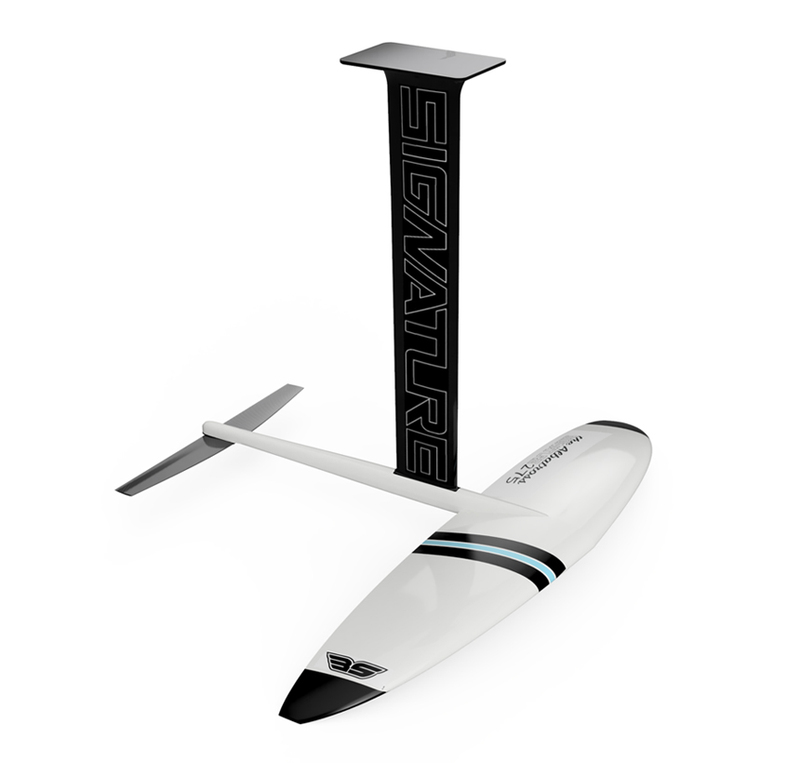 THE SIGNATURE MIRAGE 200 / 1290cm is our Medium sized foil. If you are a rider under 90kg wanting quick lift and then a stable flight. Ready for an “easy to fly” foil, the MIRAGE has noticeable added stability and especially great when first starting to foil . Great thing is that once you start to improve you wont need to replace with a higher performance foil as the 200 is also designed for rail to rail turning. 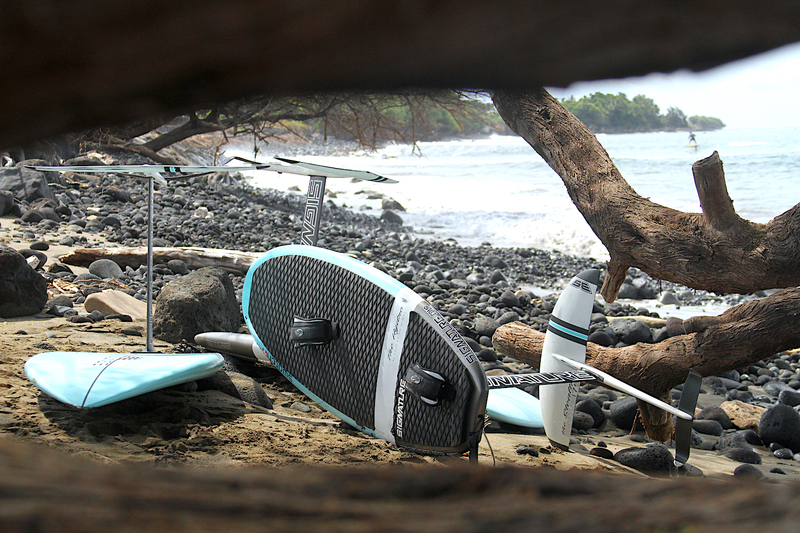 The MIRAGE best used for surf or SUP riding. THE SIGNATURE ALBATROSS 210 is what we would classify as one of the fastest and most efficient foils currently on the market. 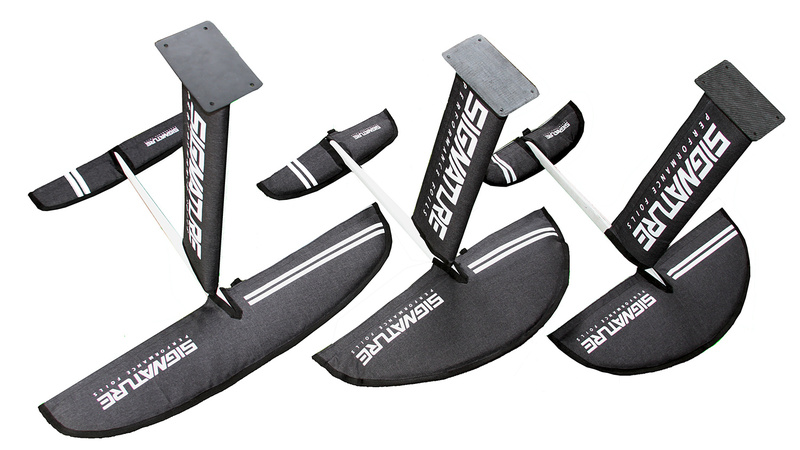 If you are a rider under 95kg the 210 foil is designed for easy lift and continuous glide especially while down winding; great for small waves and world renown as a flat water “pump- machine” if you just want to master dock starts and impress your local crew. 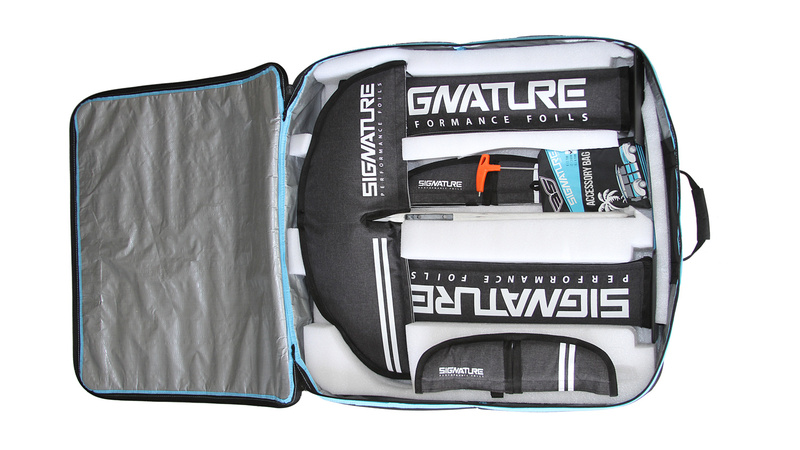 Signature combo bag is an optional extra and great when traveling with more than 1 foil. Padded insert, zippered and fits 2-4 foils depending on sizes. Each complete foil now comes with a Deluxe Signature sleeve pack, custom designed for ultimate protection for your new carbon foil products. Includes: Mast Sleeves, Front Wing Sleeves and Rear blade sleeves. Constructed in Polyweave reflective silver bottom to reflect the heat and canvas top for protection. Velcro for quick entry and sealing after use.